AlphaNinja: We're saved. The Federal Reserve instructs bank executives on how to run a bank. We're saved. The Federal Reserve instructs bank executives on how to run a bank. 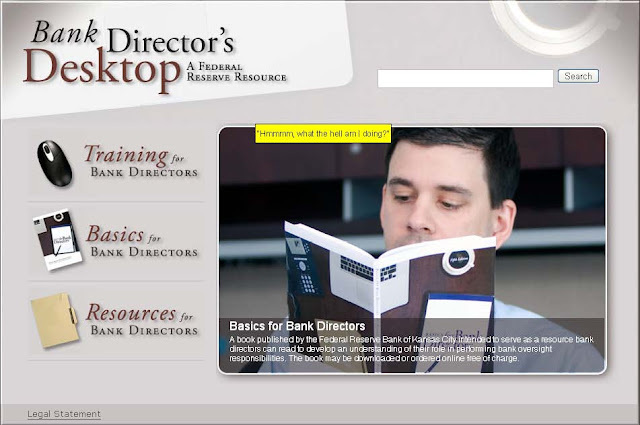 From the Fed, the Bank Directors Desktop! All kidding aside, here's a pretty good resource - skip the post-grad degree, thanks to the Kansas City Fed.